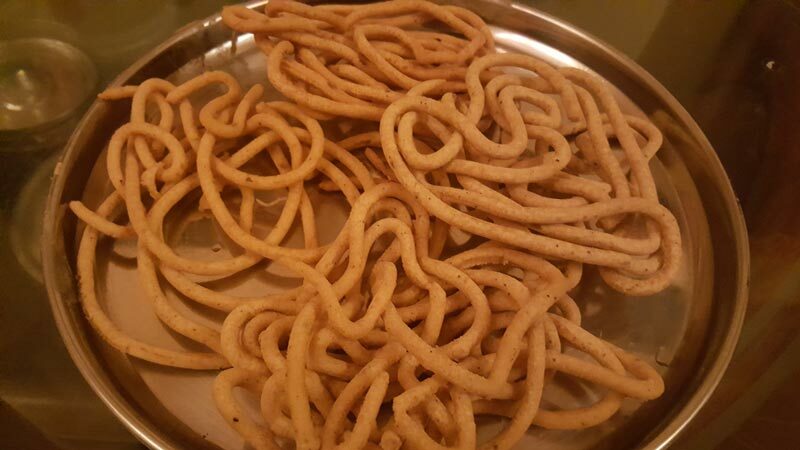 Kara sev is a popular snack recipe , which is often made during Diwali.It is very easy to prepare and can be made in a jiffy.Let us see how to make this spicy and crunchy kara sev. 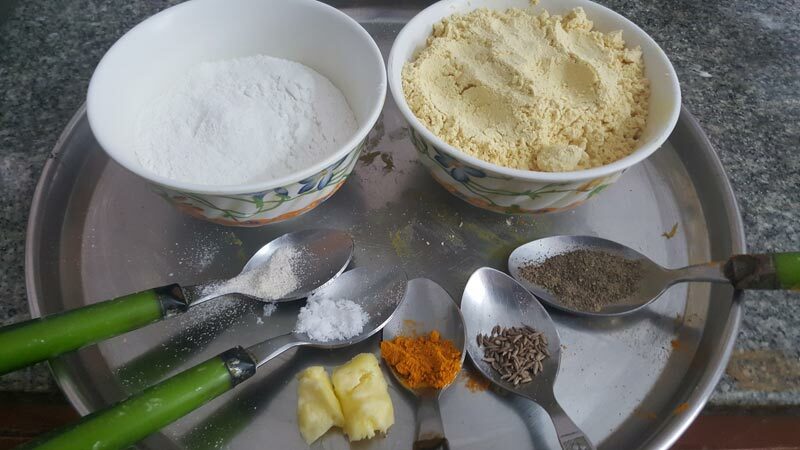 Sieve gram flour if there are any lumps. 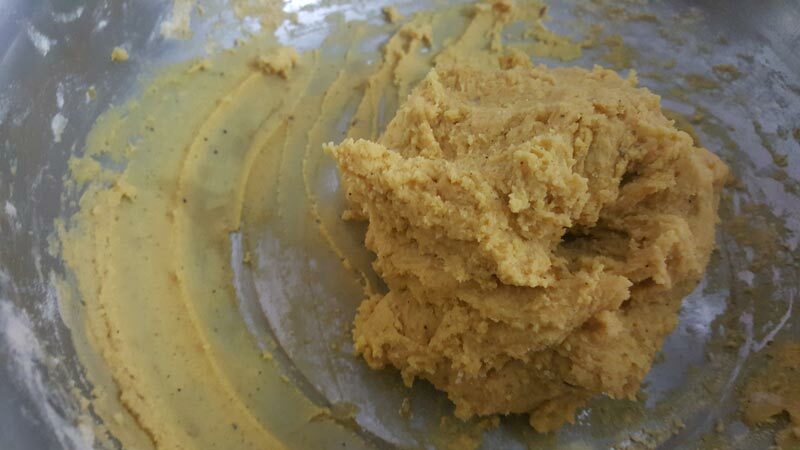 In a large mixing bowl , add both gram flour and rice flour , melt butter and add to the flour mixture. Then add crushed pepper, cumin ,salt, turmeric powder, asafoetida and mix well. Add enough water and make a stiff dough. 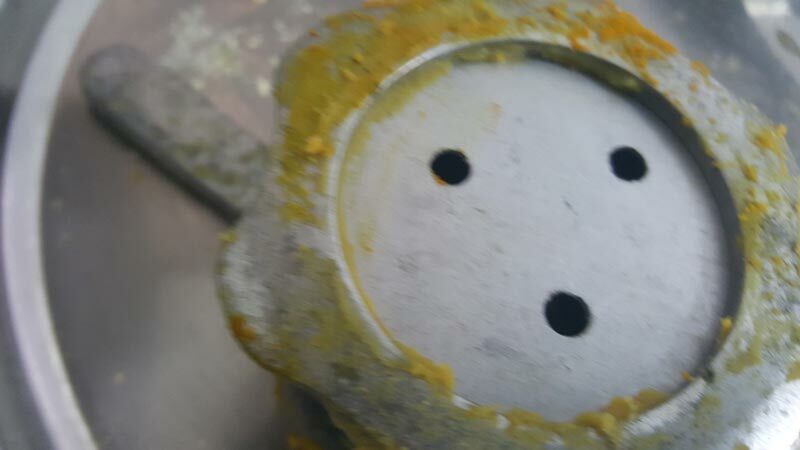 In a kadai, heat oil for frying. 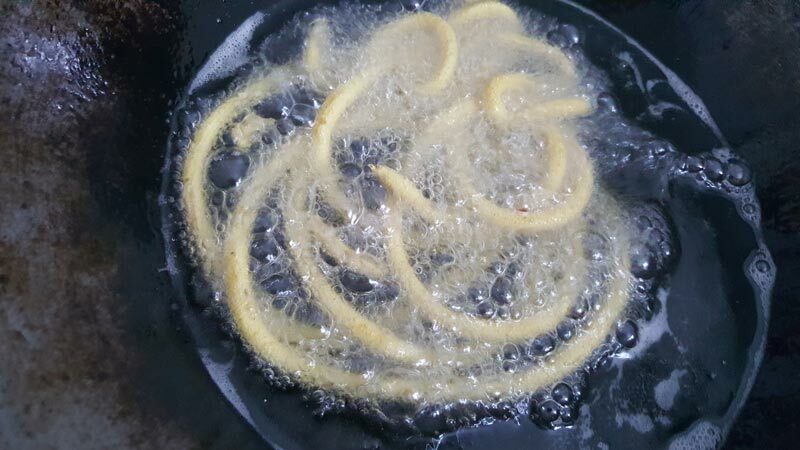 Grease a murukku mould , fill it with dough and press in a hot oil as a large circles. Fry in a medium flame on both sides till the bubbles subside. Drain the sev in a tissue towel. 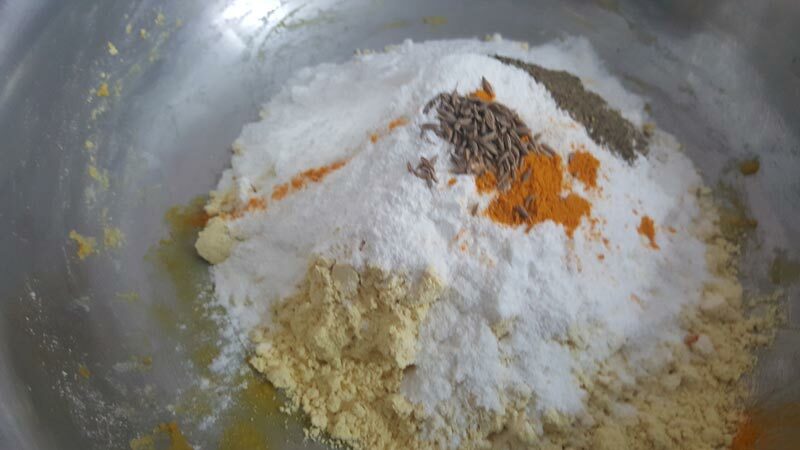 Then add crushed pepper, jeera ,salt, turmeric powder, asafoetida and mix well. Do not add more water while kneading dough, if the dough is watery then the sev will absorb oil. Adjust the amount of pepper based on the spice level you are looking for. You can add crushed garlic for more spice. No Replies to "KARA SEV"